Hello friends and visitors, so glad you came by today. 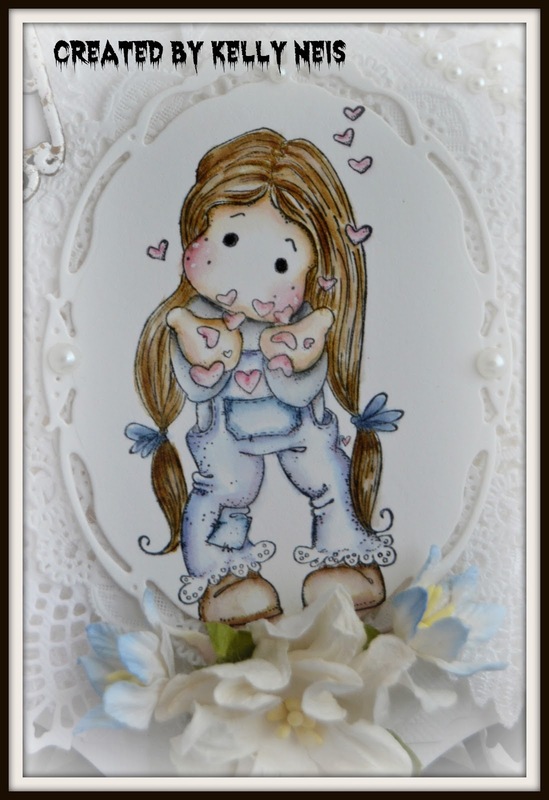 Tilda is colored in Distressed Inks and I used a Spellbinder die to surround her with. My base is Go-Kreate die and I put in a few Prima doily dies in and a Little Darlings die lovely view, and Creative Expressions bow die. You can see the different dies clearly here and the pearls I added. 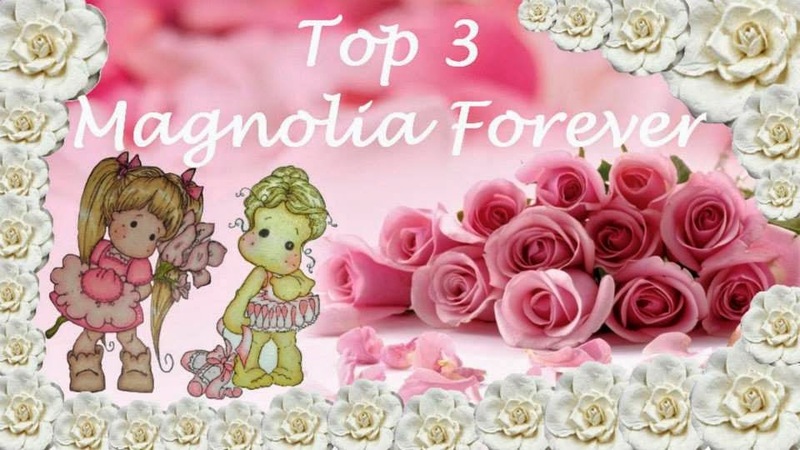 A magnolia flower and 2 faint blue ones from LLC finish the bottom. Magnolia doohickey so wrapped heart die with a wood Happy that I frantaged in Shabby White. Your comments make me smile and I do appreciate the time you take to compliment me. Thank you! Oh happy anniversary to your parents ! 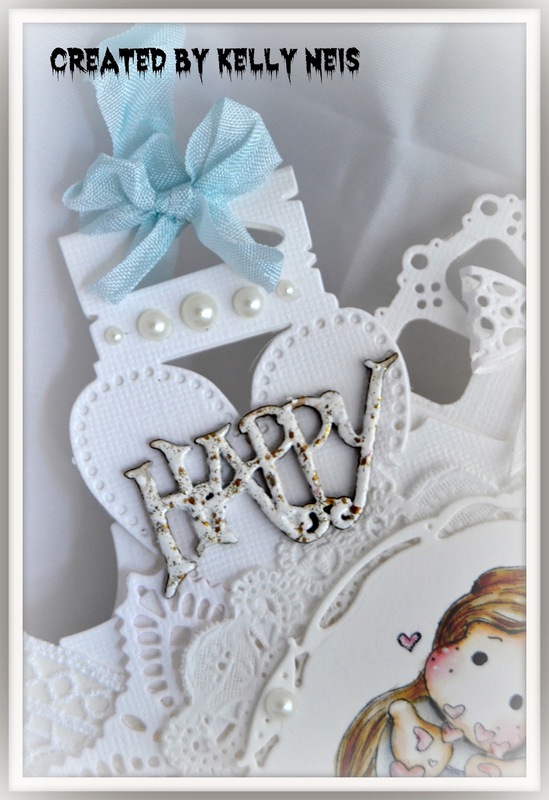 This card is lovely, love all the white, superb dies ! What a beautiful card! 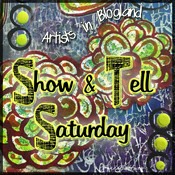 You are creating some real beauties this week! Your parents will treasure this master piece. Love the design and fabulous details. Love it! What a beautiful card Kelly! I love the white background with the little splashes of colour and isn't that image just perfect for your parents living far away. I'm going to have to go hunting for that little bow die... that's as cute as can be! Fantastic Anniversary card Kelly, your parents will treasure it. Love this sweet Tilda and all your pretty dies. 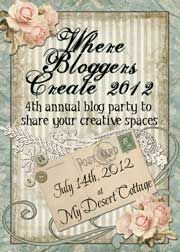 Thank you for joining us in our 100th Special Celebration Challenge over at Midweek Magnolias. Good luck! I don't think my comment went through!! Your card is beautiful Kelly and I am sure you parents will really appreciate it. How are they doing? wow Kelly, I haven't words....it's fantastic...and so elegant! Adorable card, Kelly. Tilda is precious and love all the pretty extras. 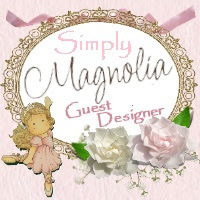 Thank you for sharing it with us at Midweek Magnolias. 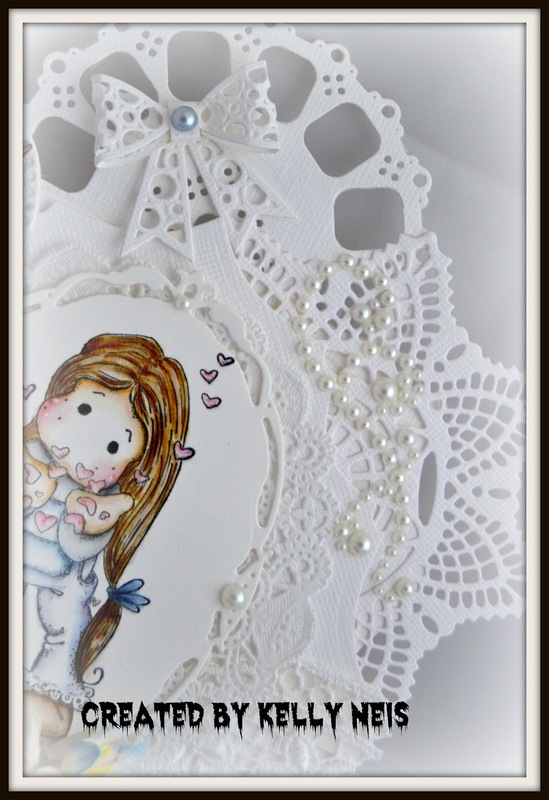 It's a beautiful white card with all those pretty little things. Tilda looks awesome. Thank you for joining us at Tilda's Town this week. What a beautiful card. I love the white colors,and all the sweet dies. Love it. Thank you so much for joining us at Tilda´s Town this week. Hope to see you again soon. Hi there again Kelly! I've been given the luck of the draw and get to comment on another one of your gorgeous creations. I love your white on white design with that sweet hint of blue. Beautiful coloring of Tilda too! 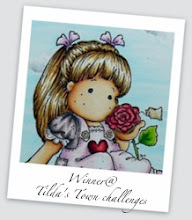 Thanks again for joining the Tilda's Town Challenges! O, Kelly! This is so delicate and "frosty" I love it!